WHERE IS THE INDEPENDANT RESEARCH INTO ALOPECIA? This was posted 2011 by Jayne Waddell. If you read to the bottom you will see the progress which has been made over the past 6 years. I have suffered Alopecia Universalis for 10 years of my life…….. Why is there no Independent Research into Alopecia in the UK? I initially set up this blog to raise awareness of this disease and help others try to come to terms with coping with Alopecia but quite quickly I realised that awareness for me is just NOT ENOUGH……I do not know of any other disease which funds for support and awareness and stops there… All other charities do both. The funding for research in its self raises awareness of the disease and surely this is a great support for the community, knowing that we are being pro active in the search to cure this horrific disease? With NO research our community has NO hope. This has been going on for far too long. The concept baffles me and brings to the surface many emotions such as anger and frustration and helplessness. It is time for a change. Not only to benefit myself but for all the hundreds and thousands of people out there in the UK who have been affected by this awful disease. There are 60,000,000 people living in the UK. Statistics suggest 1.7% of the British public suffer from Alopecia at some stage of their lives. That is 102 000 people in the UK alone and it is becoming increasing prevalent. I would like this Tweeted round our community…… as many people as possible, and if you could each just leave a short message saying YES you would like Independant Research into Alopecia….. and why ….. and leave contact details that would be BRILLIANT. Lets get this ball rolling….. I don’t mind doing the hard work if I know I have a driving force behind me! Lets get behind this and PUSH FOR WHAT WE DESERVE! Alice Frost is another girl who feels the same and is dedicated in the search to find a cure…. Please read Alice’s story below. Please visit http://www.AAR-UK.org for more information. I WANT TO KNOW WHY MY BODY IS DOING THIS… I WANT TO HAVE RESEARCHERS LOOKING TO CURE OUR DISEASE. I am 16 years old and have had Alopecia Universalis for 19 months. I was once a very attractive, bubbly teenager who was always up for a laugh and would never miss out on anything. A year on I can barely leave my bedroom out of sheer embarrassment of having no hair. When Alopecia Areata first set in I had booked a trip away to Berlin with a group of friends and I was so excited! My hair was my crowning glory, as it is for any youg girl… At the time I rememeber having 3 inch long, black roots at the top of my head and thought there was no way I could go to Berlin looking like that ! So the day before our trip I went to the hairdressers to freshen up my hair to then be devastatingly told that there were three tiny patches on the back of my head about the size of five pence pieces. I felt physically sick and from that day on I turned into a nervous wreck. Every day of that trip away I cried, I was frightened and did not know what or why my body was doing this. I was so frightened each time the wind blew I would run inside incase someone noticed the bald patches. To top it off, some boy decided to bully me ad really highlight my problem by telling me that as soon as we got back to England he was going to tell everyone that my hair was falling out. I can definitely say that I have come a long way since then, I plucked up the courage to go into school without my wig and it did feel great, but at the end of the day I still was as far away as feeling feminine as I possibly could be. At this stage all of my eyebrows and eyelashes had fallen out and that is what really hit home and made me realise how serious this was and how different looking I was becoming to everyone else. I have always been very open about my condition but it will forever haunt me and has taken away what should of been some of the best years of my teenage life. It sickens me to think that this cruel illness effects one in every one hundred people and they most likely feel as awful as I do or even worse. If so many people have this, why has no one done anything about it? There are other charities out there that provide support for others who have Alopecia but none of them further this support by producing hope for the ultimate….. which would be a cure. The only way this problem can be fixed is if we have a charity funding for this well needed research. I want research to be done and I want to be pro active and live my life with HOPE that one day our medical community may know what Alopecia actually is and make steps towards helping us find a cure. A new charity would give a new and exciting way to expose alopecia but have the added benefit of actually providing research to the alopecia community. Surely this has to be a win win situation. We could have exciting ways to raise money and really all club together. I know that if there are so many people suffering from Alopecia like me and feel as strongly as I do about finding a cure then I know WE CAN MAKE THIS WORK. I will start it off…. My name is Jayne Waddell, I live in Berwick Upon Tweed. I have had Alopecia Universalis for 10 years now. I hate having it and would like it cured. i would also like a charity set up for Alopecia, i to have had this terrible disease for more than 30 years. & my life has not been an easy one. my name is jacqueline francis. yes, I would like to have independant research into Alopecia Areata. Please Let me know how can i help you leading to a cure. My name is Sheelagh Richardson and I’ve had alopecia universalis for one and a half years. It would be amazing if there was a charity that researched into the cause and then hopefully find a cure. I’m Kate Johnston and I’ve had Alopecia Areata for nearly 20 years. I want my eyes back. My name is Lorna Weir I have had Alopecia for longer than I care to remember, at 54 I have learned to live with it, with a few restrictions in my life. I gave up on the dermatologist in my late 20’s.sick of being a guinea pig for NHS, given a glimmer of hope only for it to fall away again with my hair. I would love to see more independent research into Alopecia and its relationship to other autoimmune problems, as Alopecia is not the only autoimmune issue I have. Looking at the autoimmune systems relationship with the body holistically, as opposed to in parts e.g. hair/skin (Dermatology), joints (Rheumatology) and blood (Hematology) I often wonder why it is all these departments don’t work together especially when it is know that the problem or problems, they are looking at, relates to the autoimmune system. I know for a fact my autoimmune issues are genetic as my mother, sisters and extended family share some of the issues although none other than myself have Alopecia. So it would make sense in my opinion and from a personal point of view, to look at it through genetic research. Independent research would be great and a charity would help, as I’m sure none of this research would be cheap. If a cure could be found in my life time it would be wonderful, instead of constant reliance on medication and appliances which may cause other medical problems. Yes, I would like to see a charity set up for Independent Research into Alopecia. I have now had “Aopecia Areata” for two and a half years and lost my hair within that time frame six times!!! Definitely count me in!!!! I always think about you Jayne and all the people with the extreme cases of AA and I can assure you I am doing everything I can to get some of this research going in my own lab. I have written an article recently about the many underestimated health benefits of Vit D that might be of interest to the people here looking for answers. Vit D reversed our daughter’s AA. Please read it here (http://ibiothink.blogspot.com/2012/05/black-people-need-more-not-less-sun.html) but do not take any measures with consultation with your doctor. My name is Daniela and I too have a form of alopecia called androgenic alopecia. This disease effects me terribly as I find it very hard to deal with. I get very depressed and conscious about the way I look. Why should we have to put up with this? Please let there be research and time spent into a cure for alopecia. I would love to see a charity set up for independent research into alopecia. Please Say Yes!!!!!!!! and click the link To Independant Medical Research into Alopecia. Lets all be stronger and fight the fight together and unite into taking this campaign all the way to engage with everyone out there who has Alopecia or knows or is related to someone who suffers this disease on a daily basis. AA is an Auto Immune Disease affecting hundreds of thousands of individuals of all ages around the world. In all the years man and woman has been on this Planet!!!!!!! There is no known or proven cure. Yes, No Cure!!!!!!!!!!!! Alopecia has a destructive impact on the person from how physically they feel and to how they look. How they feel as a person to others and in their self acceptance of their own personal identity after this disease has manifested its self into Alopecia. Also there is the depression it creates from knowing that there is nothing and no cure out there which can make a difference to their situation. No knowingly positive way forward. Back against the wall syndrome…Feel lonely….What can I do… Who cares…. All they want in order to regain there self esteem and live their lives is for their HAIR TO RETURN, Sounds Simple, It is not!!!!!!!!!! Please…. CLICK the LINK…… together now and let us connect to deliver an answer. Help us……….. this is a message to all Research Scientists out there and Goverment Health Ministers and the N.H.S. Wake Up and help generations of sufferers and initiate Medical Research into Alopecia. Yes I would like independent research into Alopecia. 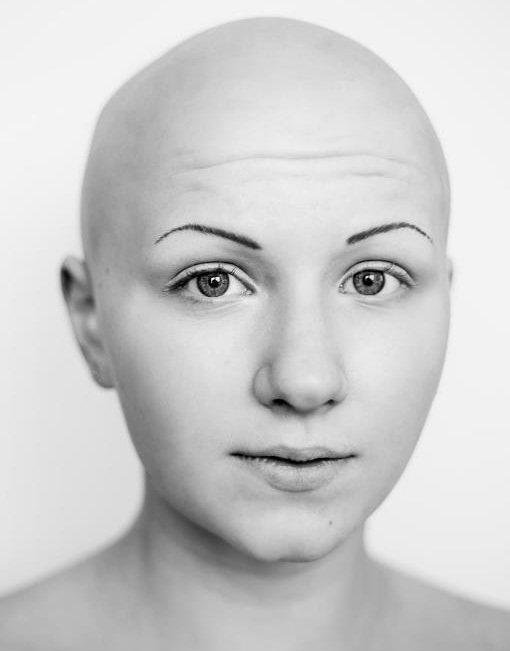 As the mother of a teenager who has suffered for 3 years since the age of 12 I have seen the devastating effects Alopecia can have on all areas of life, confidence, self esteem, education and social. also because of the lack of ear/nose/eyelashes !!! My name is Linda, I work for a “wig, hair replacement company” in Edinburgh, I am privileged to be included on this site. I am with you all on wanting a cure. Not sure our NHS system will give it cause alopecia is not seen as life threatening!!! Awareness is what it’s all about. support in nubers will help so clik on!!! Though i`m not from UK, I Support Independant Research Charity for ALOPECIA in uk. Every suffferer to this auto immune disease is looking for a cure to at there life timeto this life altering disease. I have had alopecia universaly to almost 30+ years. Jayne go all the way tothe end. Yes,we need independent research!We need to cure that horrible disease!!! !I have had Alopecia Areata for 4 years! !I wan’t it to cured once and for all!!!! i would, for my friends sake! xox…….where is the marathon? As a friend of someone with AU I would dearly love to see more being done to understand the cause(s) of Alopecia and to treat this condition. The vast majority of people who have hair take it absolutely for granted, I’m not sure it can be understood by non-Alopecia sufferers just how much of an impact hair loss causes. I have seen the detrimental effect hair loss has on self confidence which, let’s face it, is crucial to someone’s everyday life; I’ve seen a very confident, beautiful, creative and intelligent person stumble at times as they’ve learned to try to deal with their ‘new self’. Life threatening or not, this is a serious and often life shattering condition which most definitely needs more awareness and support, and most certainly funding as a way to research some answers. 100% YES. 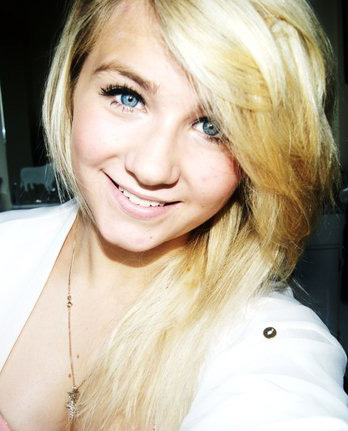 I go to school with alice and she is still one of the prettiest people i know! If anything it makes Alice’s amazing eyes stand out even more! I wholeheartedly agree there just isn’t any research into Alopecia and I don’t think that people really realises how much it affects you as a person. I appalled your ideas and tenacity. More power to your elbow and thinking power. The more people you can inspire in the Alopecia community the quicker we’ll be to finding solutions and getting to the “root of the problem”!!! if we can put a man on the moon surely we can find a cure for Alopecia !!!!!! tengo alopecia areata, soy de barcelona españa, y bueno parece q algo crece, llevo un año asi, y lo pase mal al principio. ahora llevo peluca desde octubre, y lo llevo mejor… pero porque esta enfermedad, no es mortal no… pero sicologicamente…… entre todos podremos.. adelante… somos los mas fuertes. My name is Barry Flynn and am 41 have had AA since I was 14 on and off……count me in and fair play on all the efforts. Thanks Barry,….. you are definitely counted in! So get your fundraising cap on ! We need to push this 🙂 x You from Ireland? My name is Sheryl and I’ve has alopecia for over 5 years now – universalis for the past year. Just when I got used to the lack of hair and the wig I lost my eyebrows and eyelashes. I’d do anything to have them back and would love to see research into a cure….. I did have some success with the immunosuppresant Cyclosporin, however during a REALLY stressful period i lost all regrowth. 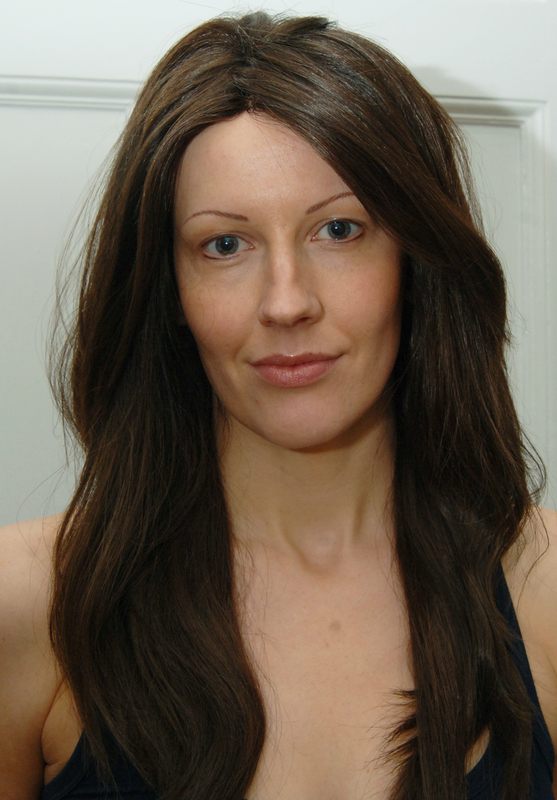 Hi my name is Jo… I have had alopecia universalis for ten years now and would love my hair back !!!!! Hi. My name is Karen Stewart. I am 41 and live in Aberdeen with my family. On the 16th July 2012 I lost all my hair within maybe 2 to 3 weeks. Now my eye lashes and eye brows are falling out. I’ve also lost most of my body hair. I hate this disease and have been very unhappy since. I feel my family and myself are losing the me they know and love, losing me in more ways than one. Please find a cure for this disease so no one else has to feel the way I do. Hi – My name is Anna & I have had AU for almost a year now. This is one of the most frustrating diseases I have even known and it is even more frustrating that there appears to be very little research into a cure. I would be willing to help in anyway possible to raise funds that went into research and not just looking after a website! I will do Jayne and looking forward to seeing you on Food Hospital tonight!! I also have AU and have done for about a year now and completely agree that the lack of research is ridiculous and all the treatments currently seem to treat the symptoms rather than the cause. Am more than up for fundraising! Hi, may name is Susan Cuthill and I’ve suffered from Alopecia for the last 35 years, Alopecia may not be life threatening, but feel it has most definitely changed me from the person I once was. I feel stripped of my femeninity and very vulnerable as regards even having a relationship. This affiction has a devastating effect on peoples confidence and well being. After 35 years of trying to hide my problem I hope I can find the courage to be more open about it and help raise funds towards more research. It kinda made it hit home……. Thank you for responding to my comment. I read your article and it was like a replay of all my thoughts over the years, I have gone through them all. After 35 years of suffering from Alopecia I am no nearer to finding any kind of acceptance to it. People thing I am happy and confident, whereas all my confidence went along with my hair. How do you have a new relationship if you have to leave hair your on the bedside table last thing at night and how could someone possibly find me attractive. I certainly couldn’t wear my wig to bed night after night just to preserve some degree of dignity. Another big gripe of mine is, as I have no hair, unless I wear NHS wigs which are very poor, I have to pay up to £2000.00 for a real hair silicone capped wig and do not receive even some small form of support towards the cost. Is it not bad enough that i have no hair. If I had no leg or lost an eye, I would receive more support. Your hair is one of the most visual aspects about you, therefore they treat Alopecia as a cosmetic problem, not taking into consideration the mental, emotional and physical distress it can cause. I have suffered from alopecia for over 30 years and agree with Sue’s comments about affecting confidence especially when it comes to relationships. Even some of my closest friends don’t know about my alopecia and I can never believe that they don’t notice I’m wearing a wig as I feel like it seems so obvious. I’m self conscious all the time. I have tattooed eyebrows which have helped my confidence a little but hate having my photo taken, particularly in profile, as I have no eyelashes and have never managed to have much success with false ones. It’s strange but when I’m at the gym, I don’t mind changing in the communal changing room, but would never take my wig off – I’m more comfortable being naked in public than bald in public!! Like many other people who have commented here, I don’t even bother asking my GP any more if there are any possible new treatments after having years of raising my hopes and being disappointed. I would love there to be some independent research into a cure for alopecia. Thank you so much for your kind words. I am so very sorry to hear of your alopecia 😦 I now hear of new sufferers so often and although it is great to offer advice to those I feel sad everytime I hear of a new case. If I can give you one piece of advice now it would be to please please look at your diet and your overall health. I maintain this view point to every sufferer that I speak with today….If I had the knowledge I have now when I lost my hair 10 years ago I do not think my condition would have progressed and worsened to the chronic form of Alopecia Universalis. So if I can help anyone in the early stages of this disease then I will. Alopecia (Hairloss) is not the disease, hairloss is a symptom of the autoimmune disease Alopecia….. It is the cause of the disease within the body that needs to be addressed. There is much recent research surrounding other autoimmune diseases which point to a relationship between healthy small intestine activity and a disruption in the body’s immune responses. Please subscribe to this blog site if you have not done already so that I can keep you updated with progress of the new charity that is currently being set up. In the meantime I shall be posting more information on healthy gut activity and the immune response and how to get yourself on the right tracks for “managing” and autoimmune disease. I am still tweeking my diet but see progress on a weekly basis which gives me the encouragement and motivation to continue on this journey…. I saw you on the Food Hospital and was so touched I cried! You looked absolutely beautiful! I am 59 years old and have had AA/AT for over 30years. It has worsened recently possibly due to the extreme stress of losing my premature grandsons, who only lived for 10 days, last year. as they define your face and restore some of your former identity! Like many of the people who have posted I am a different person in public than in private and have literally to put on a face, as well as my wig, to make it through each day. I don’t want to wallow in self pity as I realise that I am lucky to have my health and the support and compassion of my family and many friends. I’m sure they would also lend their support to your cause! God Bless you in your efforts to help us! Hi my name is Lucie, I’m nearly 20 and I’m french (so I apologize for my bad english). I’ve had alopecia for two years and a half (bald for 2 years). At one point, I lost my eyebrows and my eyelashes and they are back today. I used to wear fake eyebrows (with dermal glue, it lasted for one week) and I think this help them to come because I was not thinking about it all the time (maybe this could be the same for other people). In the same time I was taking Methotrexate (it works a little bit, but not enough. I have some bunches of hair now, but still…). Each time I went to the dermatologist, she told me that new treatments were being studied, so I guess they will be sold some day. Don’t give up the fight ! Hi Lucie, thank you so much for commenting. I am so sorry to hear of your alopecia. Please keep following the blog and support the charity when it is launched. I really hope we can find a cure for this problem. Thank you for your reply, its wonderful to be in touch with some one who understands! I’m very new to this condition as Alex has only been diagnosed since last November! It would be lovely to hear from you, to have some general information about Alopecia. I’ve spoken to Alex tonight and told her about your response in your email and how much you would support her in raising awareness. She was very pleased and has said she would email you her self, but as she was quite exhausted tonight after having her hair cut short and working with the animals at college our phone conversation was cut short. We should find out next week when the fundraiser/awareness day will take place at Alex’s college during September. So far Myself and Nick are going to be sponsored to hold a tarantula spider, we are both petrified of spiders which is why nick came up with the idea! Nicks also going to do a sponsored bungee jump as he hates heights. If you have a blank sponsorship form you could send we would be grateful. Thanks for getting back to me, I can imagine that Alex is exhausted! Email me anytime it would be lovely to touch base. If I can help in anyway I will most certainly do that. At the moment I am working flat out trying to get the charity website live for the 26th February and there shall be a lot of helpful information on that so please look out for it. Infact, if you sign up to this blog then you will get an email of when the site goes live. That is one thing I would never do is hold a spider,,…. never mind a tarantula! I am so excited to hear of people wanting to fundraise for this cause because it has been ignored for far too long and when I hear of stories such as your daughters it makes me even more determined to make this a success and try to find a real treatment/cure for this awful condition. Please do keep in touch Helen, we will hopefully have downloadable sponsorship forms on the site, still a work in progress!!! Hi. A friend I care about also has this condition but what baffles me the most is that there is not a single shred of statistical evidence. There is no recordes history of people suffering from alopecia during the 1980’s,1990’s,2000’s, etc. Something smells VERY fishy here. The only thing that I managed to find after digging and hour through countless sites is that the number of women seeking help from hair loss rose up 30-35% during the years of 2004-2008 which means the number of women suffering from alopecia is actually increasing. The cause for the immune system to attack the hair follices is also “unknown”. Pathetic if you ask me. There must be a reason that the immune system attacks THAT path of head. It’s got to be something with what we, as consumers, use for our hair such as these poisonous “head and shoulders” with sodium sulfate and etc. Something is not right here. Dear Calvin, I am so sorry for the late reply. We have started a research programme into alopecia in the UK and we will be campaigning and fundraising to get the money to pay for this. We are building our scientific advisory , which includes researchers from Kings College London and hope to start a project late this year. Please have a look at our website http://www.AAR-UK.org and get your friend who has Aloepcia to SIGN UP on the right hand side of the home page…. this will then keep you up to date with research and for participation in projects which is what we need if we are ever going to cure this awful condition. Thank you so much for following ! Anyways, I am so glad I found this blog. Your article and people sharing about what it’s really like to live with alopecia as a young woman really resonated with my own experience. It is helpful to find that so many people know what you are going through. I to cannot believe there hasn’t been any more reseach towards alopecia, – is hair loss considered taboo in medical science? Thank you Jayne for being who you are and inspiring us all. I will look forward to read the continuation of your blog. Dear Alice, what a lovely lovely message. thank you for your kind words. I have been rather inactive with my blog recently because I have been busy setting up a reseaarch charity into Alopecia in the UK. There has never been independant research into Alopecia in the UK and we strive to get things moving and really push for real research into this disease. i would like to see a full uk survey and get subjects together to try to find common links etc. We are building our scientific advisory at the moment including researchers from Kings College London University and so we need to gt our fundraising well on the way. Please look at http://www.aar-uk.org and SIGN UP to the site on the right hand side of the home page. That way you will receive information on our progress and perhaps get involved in future fundraising. We need all the support we can get. this cindition is not easy to live with as you well know and the “taboo” as you correctly stated needs to be lifted. Do you live in the UK Alice? I lived in the UK for a while (when I was a uni student) but am now based in Japan. Thanks Jayne, I have signed up for AAR-UK and will do my best to spread the word. I lived in the UK when I was a uni student but am now based in Japan. Hi Jayne, My name is Celeste and I am from Australia and i’m 26. The first patch of hair to fall out for me was two years ago, and is growing back slowly, and another has just appeared. After searching the internet for hours for a glimmer of hope, all I could find were people saying they started with AA and years later, without warning, it progressed to AU. Now I am sitting here in tears thinking that I will have to live my life with the possibility of loosing all of hair, at any time, with a good chance it will happen as there is no proof of anything working. As soon as my second patch appeared I made an appointment to see a nutritionist. As there doesn’t seem to be any medical cure on the horizon I have decided I will make every effort to heal myself from the inside out. I am aiming to find a balance between a healthy body and also a healthy mind. It gives me great hope to read your comment above which mentioned you feel you could have prevented your case from worsening through food. Thank you so much. Hi, My name is Beverly Walker and i i live in Fife, I have suffered with Alopecia Universalis for over 35 years. I would so love to see some real research done on this condition for the future and to help ease the pain of others. This is such an emotional condition that strips us of our own identity. When we look in the mirror it’s not the same person looking back, when you lose your hair, eyebrows and eyelashes we do not recognise the person we have become. The emotional pain of having to look at this day and night is undescribable.to somebody who has never experienced the condition. Your whole self worth gets taken from you, no matter if you are a lady or a man, a child or an adult. Please please can we have some major research done on why our bodies are destroying our own immune system like this. I would love to support this cause in any way i can. Hi my name is Farhanah. I have had alopecia since i was 13 or 14 years old and i am now 22. I will definitely sign up! hi Jayne, i have suffered alopecia for 30 years! i also would like to assist you with your research.. I am 32 and have been diagnosed with Alopecia for only 2 months. I found one large patch in the beginning of Dec 2013 and since I have found four more. I am devastated and feel alone. I am also sickened and angry that the Doctors only see it as cosmetic and that’s why they won’t do anything! Hi Jayne, my name is Loraine, I’m 28 and have had alopecia since I was 17, during the last 12 months has turned into At and over the last month now AU, and would like to help with any research. Dear Lorraine, I am so sorry to hear that your alopecia has progressed to AU. Can you please email me jayne@aar-uk.org and I can post you out a research consent form? I’m 43 and have had AA since I was 14 on and off. For last 4 years it has got worse with loss of eyebrows,beard and some body hair and with minor growth that appears to be regressing again. I live in Ireland so am wondering if I would be eligible for your research ? i have suffered alopecia universalis since i was 16 years old and now i am 19 .at the first moment i have alopecia,i thought that it is just a normal case hair fall..and now after 3 year,,my hair getting thin..and it make me lost my confidence..i just my miss my old hair..i have try many ways,,like taking suppelement,,zinc complex,,b comple, but i feel that,,the situation is still same,,nothing changed.i had meet with the doctor,,,but they always keep saying that,,there is nothing with you..you are in good…please anyone can help me.. Thank you so much for contacting us. Can you please email me jayne@aar-uk.org and I shall send you out a research consent form. i am sorry for your brother’s alopecia. You are right it does diminish the quality of life to a certain extent, especially at the start of diagnosis. It is something that we need to try to “get used to” and that is not as easy as it is said. Hi Jane,I would love to see more research into this awful disease..I have had AU now for 7years and I am totally miffed by lack of support and help & information …I am starting to fight back now!!! Please count me in on any research projects . I have had AU for 6 years now and have my ups and downs . What annoys me is that alopecia is seen as “cosmetic” by the NHS. If decent wigs and semi-permanent makeup were properly funded by the NHS then maybe it would save a bundle on psychology and anti depressant costs !!! But above all we need research into this disease to find cause and cure . Alice you still are beautiful. Thank you for reading he blog and leaving a comment of your experience. I was speaking to a lovely lady who also had alopecia, yesterday and her good friend was diagnosed with Motor Neuron Disease also. There are many many people worse off than ourselves but you should never feel “pathetic” about how this autoimmune disease can make a person feel. You cannot ever compare one disease with another as each is relevant in that person’s life. I recognise your name, have you signed up for medical research with us Julie? Also, you should look into a Freedom wig as they are truly amazing and changed my life thoroughly…. everything you described in your comment above, I use to worry about in normal wigs and now do not have to worry about any of it because of Freedom Hair. There are agents all over the world so maybe there is someone near you that could help? YES YES YES TO RESEARCH! I’m a 17 year old girl and I’ve lived with AU for about 9 years now. Alopecia runs in the family, though weirdly, only the women seem to go AU. Memories of the shame and embarrassment throughout my school years still serves as a painful reminder of why its important to give more people, particularly children and teenagers like me, hope, cures and solutions. Today, i honestly don’t mind my condition at all. I have an incredibly supportive family, great friends, and a good life. I’d rather live positively, with the perks of my AU, and always keep hope that maybe one day in the future, a cure can be found to help others, if not me. I wasn’t always like this. This change in attitude came about a few years ago, after the sudden shocking death of a young girl i knew to leukemia. It dawned on me that she was bald too, but i never noticed. It taught me to be grateful for what i had. I know what Alice Frost went through, and I thank you, Jayne, for your hard work to make a difference. and filling in the form and posting it back to us. it is so important so that we can get more research underway.